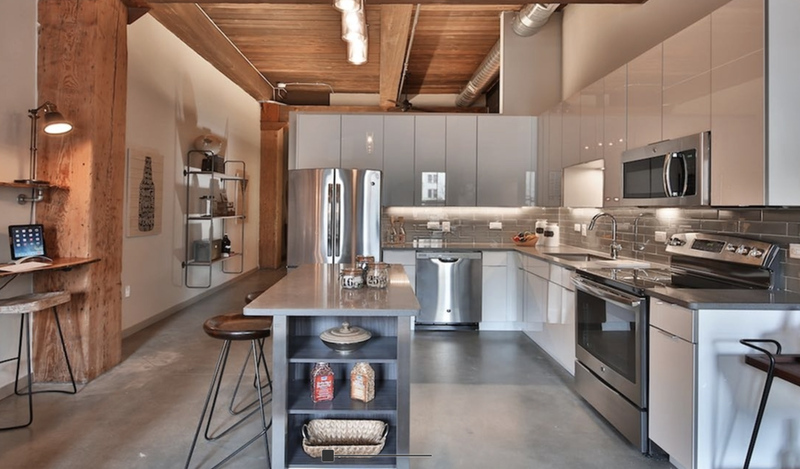 Modera Lofts is an example of our work on multi-family residential kitchens in New Jersey. This 367 Unit Luxury Condominium In Jersey City, NJ. that has to be seen to be fully appreciated. 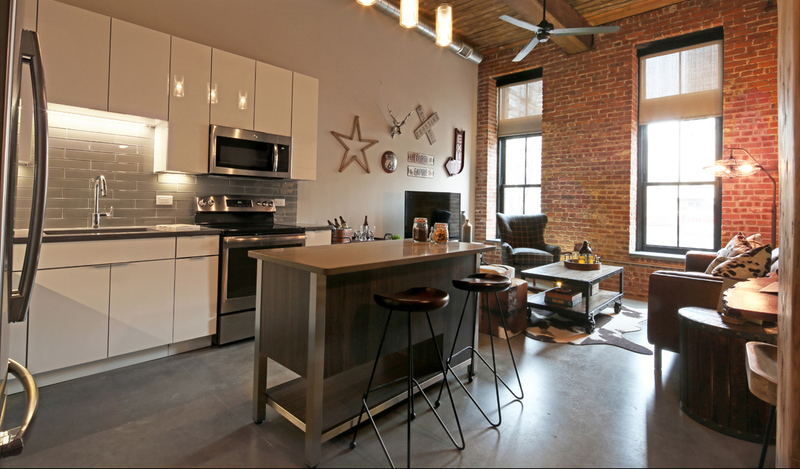 It is masterfully renovated old brick warehouse with some of the most unique units and common spaces in all of Jersey City. Kitchen Classics designed and installed 367 kitchen units and did extensive common space finishing in this unique multi-family residential project. The project was developed by Mill Creek Residential (which develops, acquires and operates high-quality apartment communities in the nation's best apartment markets) and Rockwood Capital - a real estate investment company. If you are a developer with multi-family residential kitchens in New Jersey as part of your project please call us - we excel at this type of work. 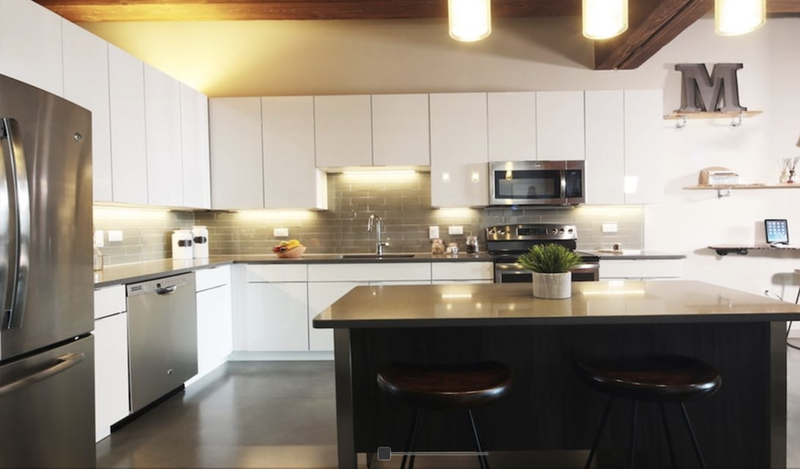 Modera Lofts is an example of our multi-family residential kitchens in New Jersey. 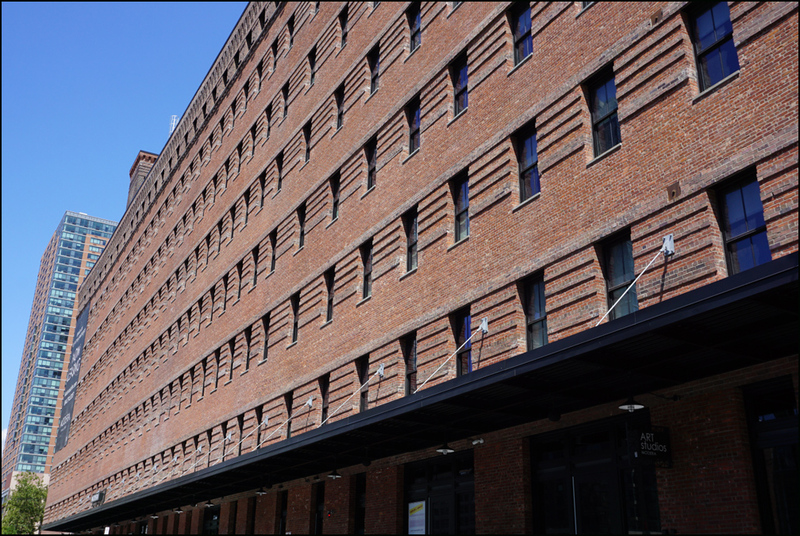 From the outside this beautifully preserved brick building signals something different in an area of Jersey city filling fast with new construction. 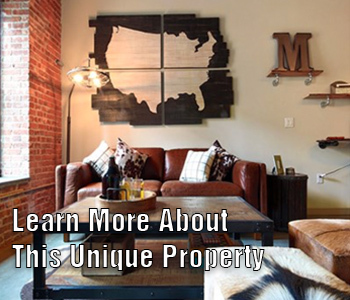 Modera Lofts sits in a busy and vital section of a dynamic fast growing city. It was an honor to be chosen by Mill Creek Residential to design and install the kitchens, baths and work in so many of the common spaces. Kitchen Classics is a leader in multi-family residential kitchens, baths, fine millwork and more on projects in New Jersey, New York, Connecticut and Massachusetts. From the moment you walk through the front door an encounter this beautiful lobby you know you are in a unique building. 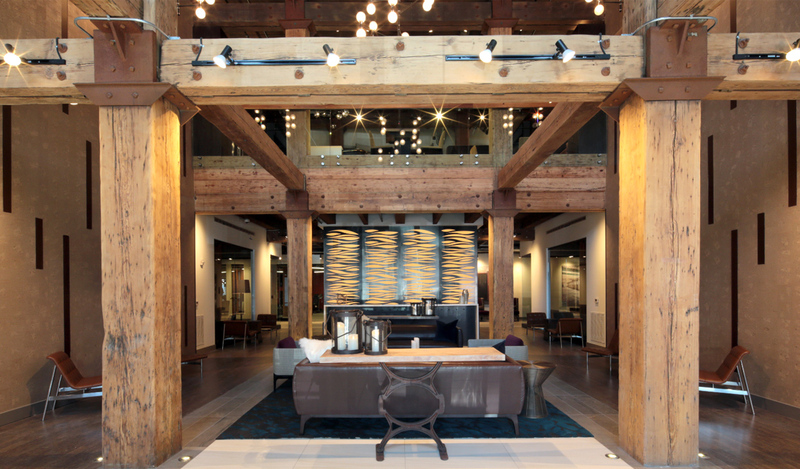 The 18" (x) 18" timbers that support the building throughout are evident right away, and will be throughout your stay in the building. The hardware that joins the beams together is equally impressive. Through our sister company E&F Contracting we finished numerous sections of the lobby and common areas. 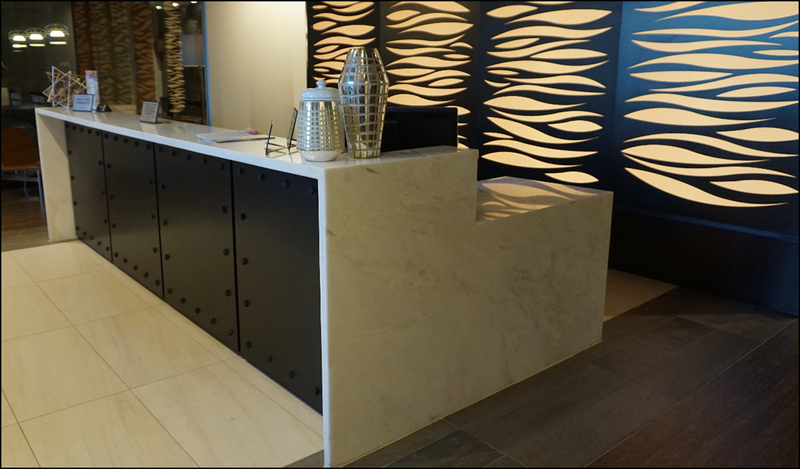 We are responsible for the main reception desk, fitness room, yoga room, conference room, bar, Internet cafe, leasing desk, public restroom cabinetry and countertops, and common area doors. We are a seasoned, well run company that was entrusted with finishing virtually all common spaces in addition to kitchen, baths, sinks, and doors and we successfully completed our work in less than a year. There are 367 different kitchens in this multi-family residential building, Kitchen Classics designed and installed them all. Similar design styles were used throughout and include high gloss European style melamine cabinetry. The doors are bright white with a chrome edging giving a sophisticated two tone look. Offset that with darker colors in the island and countertops and you have a colorful, stylized kitchen that is extremely functional. We designed and installed 367 high quality multi-family residential kitchens in less than 12 months. Counter space is plentiful and the island adds more counter and cabinet space. Our designers have their pulse on the needs of multi-family condominium kitchens and counter and cabinet space are vital. 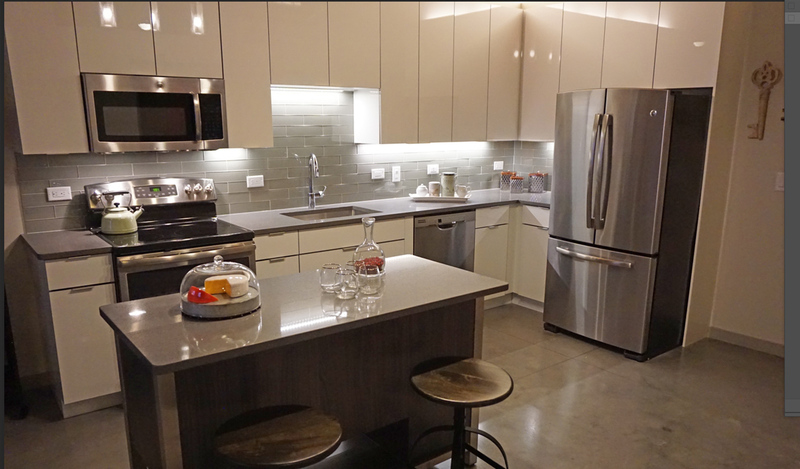 The contrast between the white melamine cabinets and stainless steel appliances is dramatic. 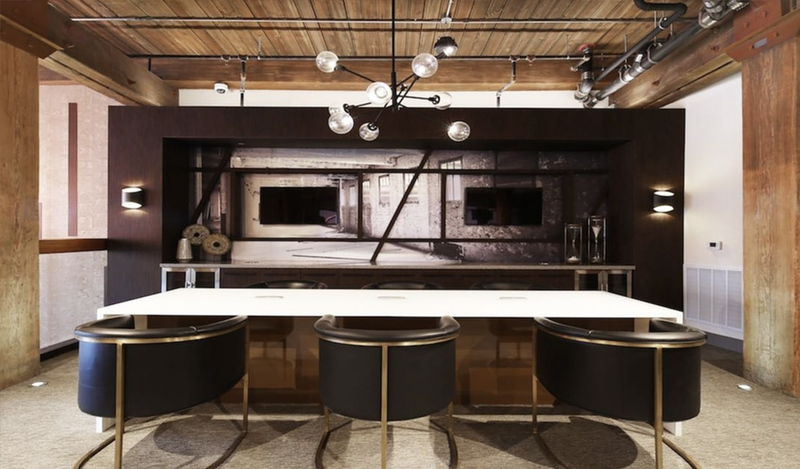 These are kitchens that make a functional and design statement and prove that with the right team you can have sophisticated, dynamic kitchen spaces in a multi-family complex that meet the budget. Each unit must be individually addressed - measured, designed, installed, double checked and there are 367 units in this building. It takes an experienced, well run business to meet this demanding a schedule. Kitchen Classics has been meeting the needs of the multi-family residential developer for over 40 years. Call us today (908-964-7101) to discuss your project no matter what phase it is in. 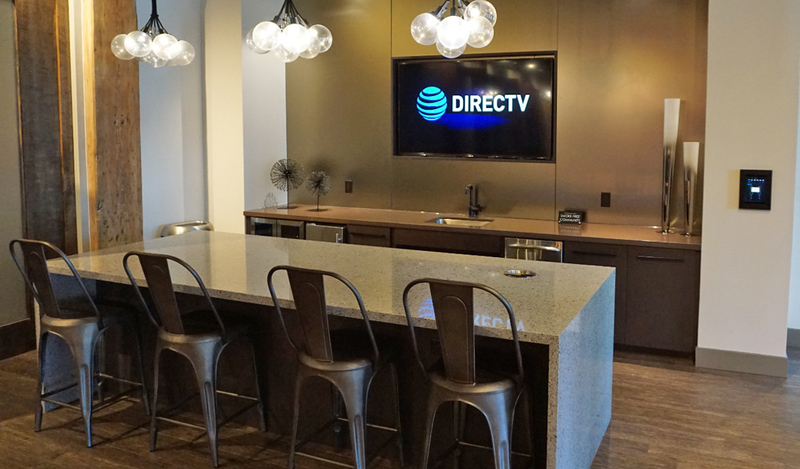 We designed and installed the front reception desk and numerous other specialty items in the common areas of this historic building. The credenza cabinetry and the table were designed and installed by Kitchen Classics of Vauxhall, New Jersey in Union County. We travel as far as Massachusetts, Connecticut, New York, Pennsylvania, Delaware, and Maryland to perform our services for multi-family residential developers. We work closely with architects and designers to fulfill their dreams on how a multi-family residential common area space can look and feel. We add our design and installation knowledge and together we create beautiful environments for the building's residents to enjoy. We supply multi family apartment, and condominium projects with a complete selection of doors for multiple applications in a project. 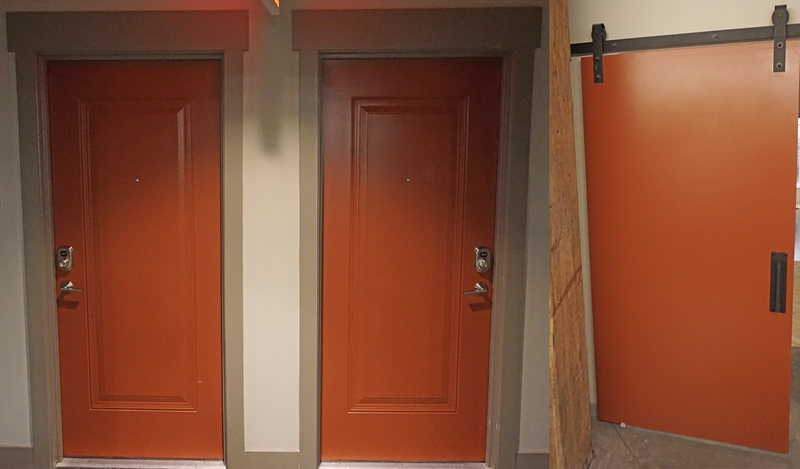 We supplied a wide range of doors for Modera Lofts in Jersey City including common area doors, all individual unit doors including sliding barn doors in each unit. We also installed all of these doors. We are a one stop resource for multi-family residential developers that goes well beyond the kitchen and bath areas.